The United States dominated Japan, the reigning World Cup champions, 5-2 to win their first Women’s World Cup title since 1999. 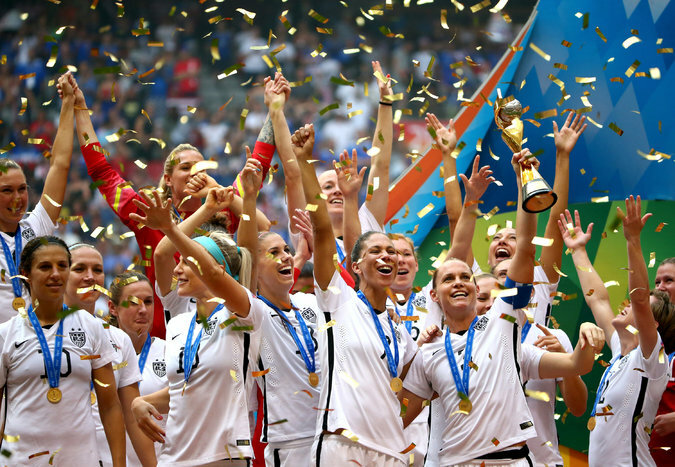 United States won its third world cup title in the highest-scoring final in tournament’s history Sunday. All tournament the U.S. was known as being the defensive juggernaut only conceding one goal the whole tournament entering the finals, but in the final game they came out attacking. Carli Lloyd recorded a hat-trick in the opening 16 minutes of the game as the U.S. quickly put the game out of Japan’s reach. Japan quickly found themselves behind, and by the time they were able to get back together they were down 4-0 in only the 16th minute of the game. Japan was able to get on the board in the 27th minute due to a goal by Yuki Ogimi. The game entered the second half still 4-1 and remained that way until Japan scored a goal to cut the U.S. lead in half when Julie Johnston’s redirected header went into the U.S.’s own net. Tobin Heath answered back for the U.S. quickly and restored their four goal lead when she scored just two minutes after Japan’s goal. U.S. beloved superstar Abby Wambach was finally able to raise the World Cup trophy in what would be the final World Cup in her historic career.